Guide-line delivery times are given on each product information page, together with fuller information on the Delivery tab, and these times are given as typical for that product, subject to stock levels (call us if you want to check these). Once an order is placed delivery is scheduled and handled by the manufacturer or a specialist distributor, who will promptly contact you by phone to book a day. You are free to delay delivery as long as you like to suit your plans. An approximate time can usually be established the day before the scheduled delivery, once the vehicle's route has been fully planned. Your range products will typically be delivered by the manufacturer's specialist courier service using a two-man crew. You are contacted in advance to confirm a suitable day, and an estimated time can normally be established on the day itself or the evening before. If there are any stairs or access issues please advise with order, or inform the delivery company ASAP, as they may NOT be able to complete the delivery and a return visit may be charged for. Your new product will normally be delivered to the room of your choice and unpacked, allowing you to inspect for any transit damage. In some cases, the company will only be able to deliver to the point of entry, but you will be advised if this is the case. Although delivery is usually free of charge (see Delivery Areas tab for exceptions) there are costs associated to the delivery process which have been built into the price you have paid, and should delivery fail due to a customer not being present on the agreed day, or for other customer or site related reasons (e.g. access problems), then please be aware that a charge must be made to cover the cost of further attempts. Sometimes we can speed up a longer delivery time by working around the usual production process for your range cooker, and there is a small charge to cover the costs invoved. At £49 per order and offered on your range's Related Products tab where available, Express Deliveries will usually be carried out by a one-man delivery crew, but this is often a "no frills" service and they will not be able to bring the goods into your property. You will be advised in advance if this is the case so that you can organise a couple of people to move the range cooker into the house. Call us on 01244 402975 to enquire about your chosen model. For the British Isles and Ireland delivery services will vary according to the brand ordered, and although some may deliver to the more remote locations there may be an additional Remote Delivery charge, which you will be offered on the Related Products menu when you add your chosen appliance to the shopping basket. Every product information page has a Delivery tab containing clear information about the delivery service for that particular brand, including the areas covered and those where a charge applies. Additionally, at the Shopping Basket area (and via the link below) you can access a table showing the availability of services for particular areas. Just call us if you need any further clarification or advice. We can only deliver to UK addresses, within the manufacturer's standard delivery zones. 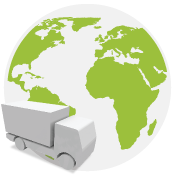 Although these may include some UK offshore locations, for international deliveries and those outside the standard areas you can arrange delivery to a specialist carrier who can then complete the onward journey. If you are using a non-UK credit or debit card, for security reasons we require that you order using our online order process - we cannot accept telephone orders. Please note that the manufacturer's warranty only applies to products used within the UK - sometimes this means mainland UK only. Please check with the appropriate manufacturer prior to ordering. Your range cooker will be adequately packed for UK domestic delivery, and most freight forwarding companies should be happy to handle it this way, but they may suggest that for a long international journey your range is further packed in a suitable crate. You should obviously consider this potential additional cost and liaise with your chosen carrier accordingly. Transit damage can occasionally occur, so it may be a good idea to take out additional insurance which covers the whole delivery process, particularly as carriers will often not sign for or accept responsibility for the condition of the goods prior to their reaching them. If you require this additional insurance you will find John Ennals at F C Gardener & Co a useful contact, and you can reach him on +44 (0)1263 733313. With the exception of the Channel Isles, Value Added Tax is only refundable within the EU if you are EU VAT registered. For exports to countries outside the EU, VAT is refundable even if you are not VAT-registered. We can only refund VAT once we have proof on file of the product export (a copy of the shipping mandate), and only then within 3 months of the invoice date. These are HMRC legal stipulations. The range products we sell are manufactured to UK specifications rather than for export, but should work perfectly well in countries with compatible gas and electricity supplies. All appliances will be CE-marked, but obviously you should check local regulations to ensure certified installation is possible, and responsibility for this is entirely your own. A UK-spec (half-inch BSP) flexible bayonet hose is required for gas connection. The manufacturers do not supply this with the cooker, but a reputable UK plumber's merchant should be able to supply you with whatever you need - try www.plumbcenter.co.uk or www.plumbase.co.uk. Where possible we can arrange for your range to be connected by the manufacturer when it is delivered, provided that the electrical or gas point is already in situ and complies with Gas Safe regulations*. You can add this service to your basket when you order. These connection services do not include moving of pipes or wiring, and fees are not refundable in the event of non-connection. Should you be in any doubt it will be better (and possibly cheaper) to arrange for a local fitter who can provide a more comprehensive service. You can find one at www.gassaferegister.co.uk. Please note: Connection services relate to range cookers ONLY, not cooker hoods. Unfortunately with some brands these services are not available, and in lieu of this a fee paid by the manufacturers and ourselves to the Distributor Takeback Scheme (DTS) goes towards the provision and promotion of Designated Collection Facilities (DCF) throughout the UK. Obviously we all recognise the importance of recycling re-usable materials and properly disposing of appliances which may contain hazardous materials, and Rangecookers.co.uk are proud to support local authority facilities throughout the UK by financially contributing to the Waste Electrical or Electronic Equipment (WEEE) Directive. All electrical goods need to be properly recycled, and you can do this free of charge either through your regular waste collection service for smaller items or by using your local DCF facility. Your local authority will usually provide a collection service for larger items, often free of charge. 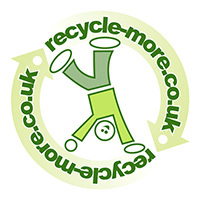 To find out more or to locate your nearest DCF you can use the postcode finder at www.recycle-more.co.uk, where you can also find lots more information about recycling in general.